A bilingual French-English adventure story. In Un nouveau monde / A New World, Magnus dreams of going to sea with the Viking explorers. A big adventure awaits him. He carries a secret for one day, far in the future... Find out more in this exciting story - in French and English. The Let's Read French series is a series of bilingual French-English story books for children who are independent readers. Children will enjoy exploring their 'new' language with original, exciting and varied stories. The parallel text, pictures and speech bubbles provide a child-friendly bridge to reading - and speaking - in another language. 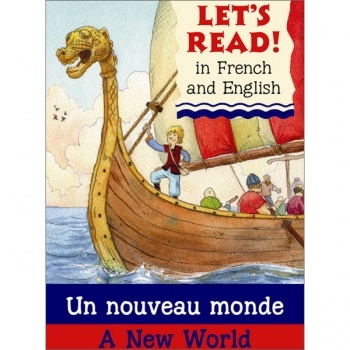 Un nouveau monde / A New World is aimed at children who are already independent readers in French and / or English.